The Tesla CEO is here for savage memes. Elon Musk, the billionaire CEO of Tesla, can add a new line to his resume: memelord. Ever since the 47-year-old co-hosted PewDiePie’s “meme review” with Rick and Morty creator and voice actor Justin Roiland, he’s risen to a new status. Musk has long enjoyed a good meme, but following his meme review appearance, his appreciation for them seems to have grown. In recent tweets, Musk has highlighted his transformation from an engineer into trendy memer. His influence online has been expanding, particularly with the boost provided by hosting “meme review.” Since his guest appearance on Feb. 22, Musk seems to consider himself in a different light. He’s been sharing more memes on social media and jokes with followers in the comments. On Wednesday, he even posted a series of photos of his face, photoshopped over that of Dwayne “the Rock” Johnson. Musks features are so seamlessly photoshopped over Johnson’s it can be hard to tell the difference, something plenty of people pointed out in the comments. “Yeah, I lift a little,” Musk wrote alongside the pictures. Twitter users immediately jumped on the meme train, sending out Musk-themed memes galore. 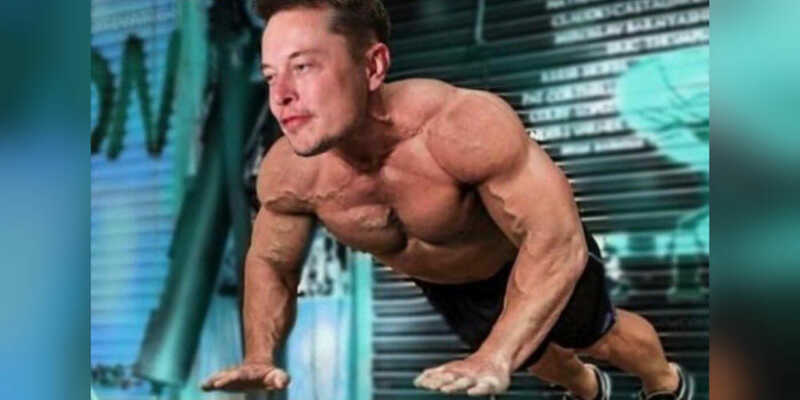 One user stuck to the Musk-ul man format, posting a jacked Musk with the caption “Elon Muskular.” Another user was kind enough to photoshop Musk’s face over Ellen DeGeneres—or should I say Elon DeGeneres—producing a haunting version of the talk show host. Another user was kind enough to share a meme that cropped up during Musk’s appearance on PewDiePie, of Musk’s face over that of rapper Post Malone. Everyone, meet Post MeElon. Musk’s appearance on PewDiePie was not his first foray into meme culture. His name recognition and online personality have long placed him in the sights of memers, who seem to find particular joy in parodying his name. We may be surprised to see the founder of Tesla and SpaceX shifting his focus to memes, but that doesn’t mean we’re mad about it. Meme away, Musk.